I found the contrasts in this scene quite interesting. 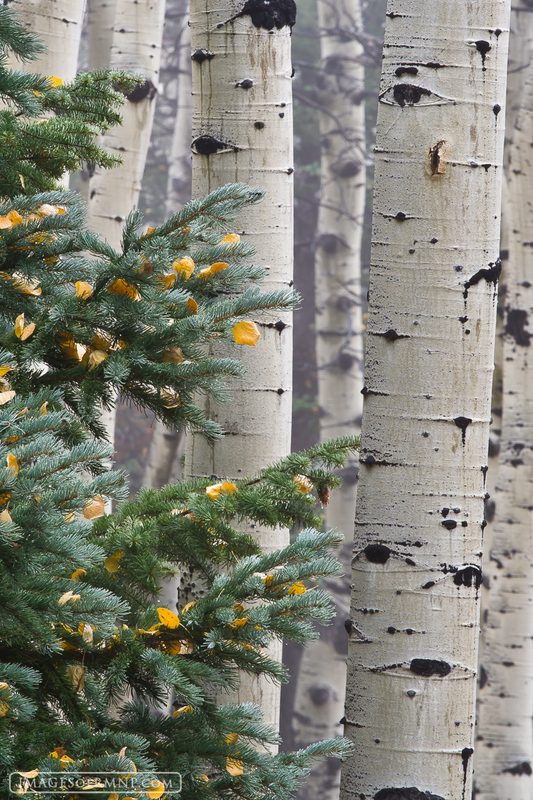 The elegant bare aspen, the prickly green pine and the fact that the pine has leaves rather than the aspen. Photo © copyright by Erik Stensland.